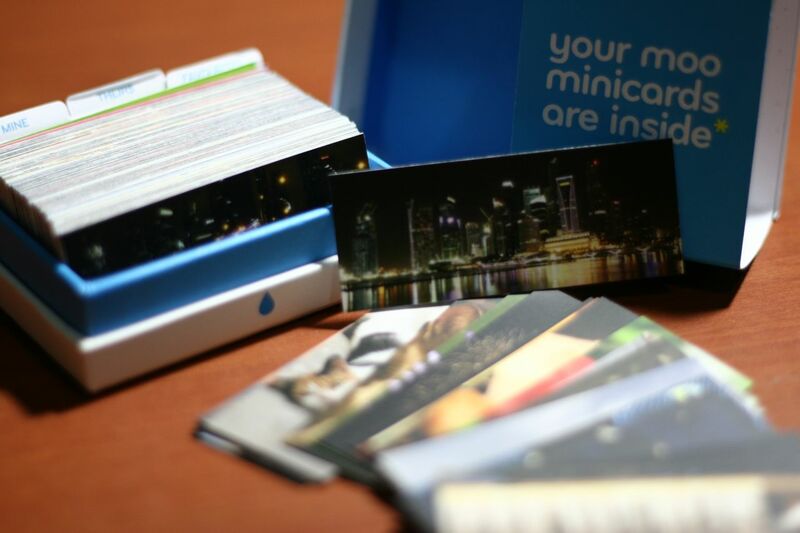 Moo cards, my previous experience with them had been great, love the quality of the Moo Business cards and they allow 50 different photographs to be printed on the Moo Business Cards ! This time round, I decided to produce a set of Moo Mini Cards for a change, something that would be easier for name cards exchange during social media networking events or bloggers events and as a special and unique name card to give away to people. 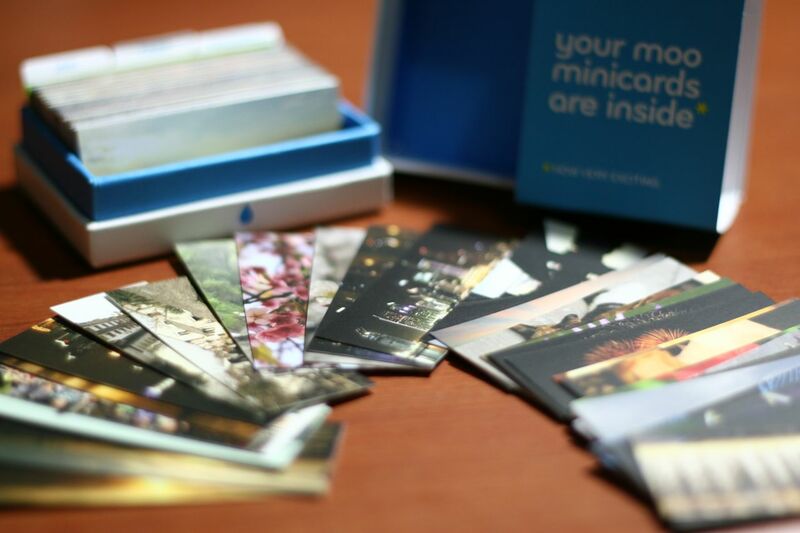 Presenting to you my Moo Mini Cards collection ! I printed my last set of namecards at namecardonline.com and i thought it was brilliant. 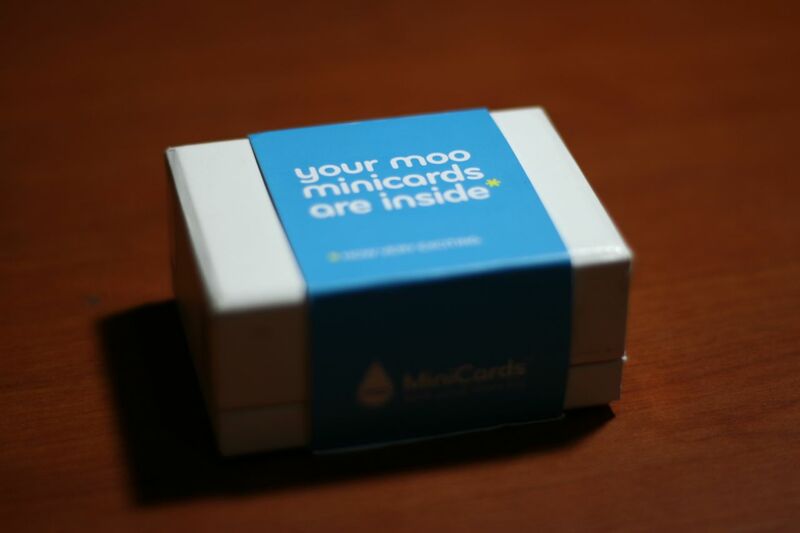 While it’s not a luxe product like Moo, it sure is an efficient, quick, and simple way of getting namecards or calling cards printed, within a short time frame. Thank you for sharing ! Would check them out too ! It’s very good for friendship, branding & networking ! If I have one, I think I’ll keep them to myself.. haha! I loved the Moo mini cards from Foodbuzz so much, I decided to create my own as well. Alas, my experience was not as pleasant. They lost my package in the mail, not once, but TWICE! And finally after weeks of frustration, they had to use DHL. It reached me, but my enthusiasm had waned. My cards seem to have a yellow tinge to it too. I still like their concept though. Understand where you coming from, sometimes customer service standards might take a fall & affect our experiences & likes for it.